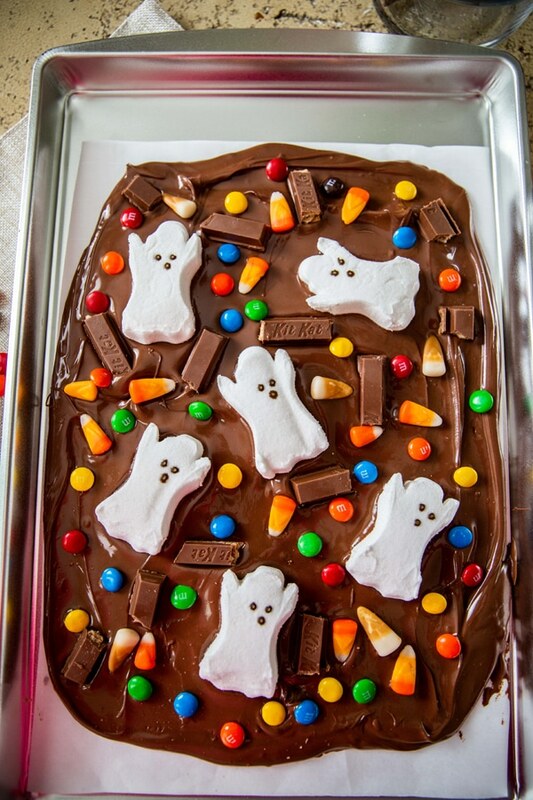 This delicious Halloween Candy Bark will be a big winner at this year’s Halloween party. 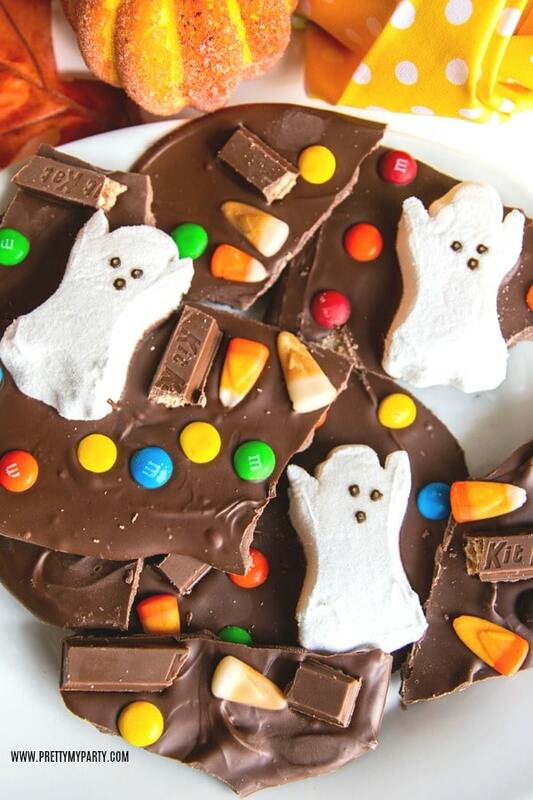 Plus, it can be the perfect way to use all of that leftover candy! 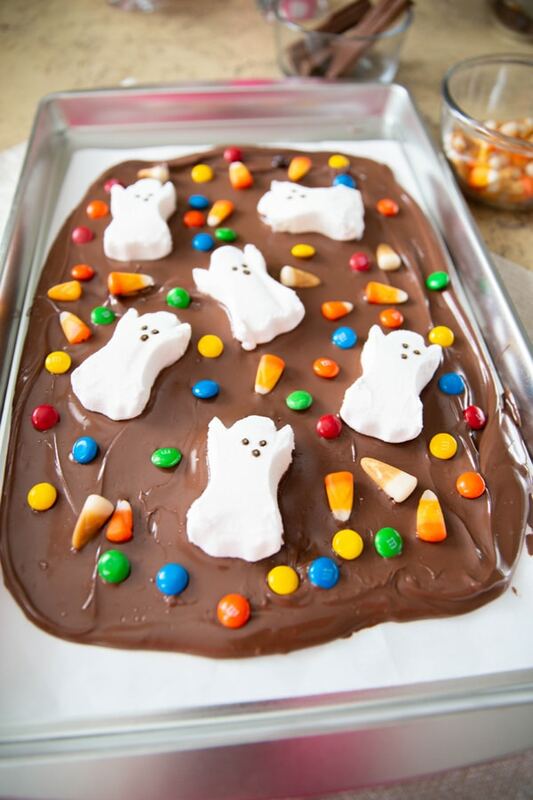 Who knew that Halloween Candy Bark could be such a yummy and delicious way to make something fun with the kids! I don’t know about you, but I am always wondering what in the world we are going to do with the bags and bags of candy that end up in our home after Halloween. The kids might really want to eat it all, but we all know that it’s just not going to happen. So now what? 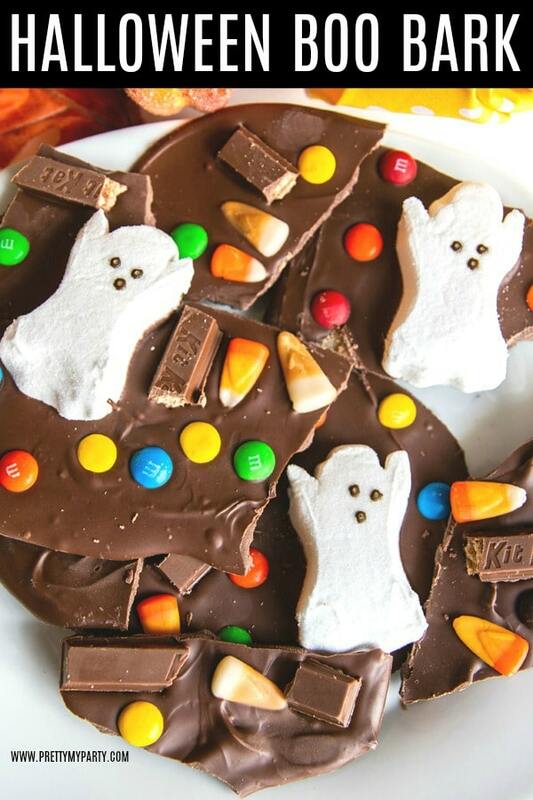 Use this Halloween Bark Recipe to start taking out some of that Halloween candy, no problem! Chocolate bark is generally a sheet of chocolate, which can then be covered with a variety of items. In our case, it’s Halloween candy. But, you can also cover it with nuts, dried fruit, or any other items that you may love mixed with the flavor of chocolate! Yummy! Even better, chocolate bark can be made with any type of chocolate. Milk chocolate, dark chocolate and white chocolate can all be used in different chocolate bark recipes. How could you possibly go wrong?! 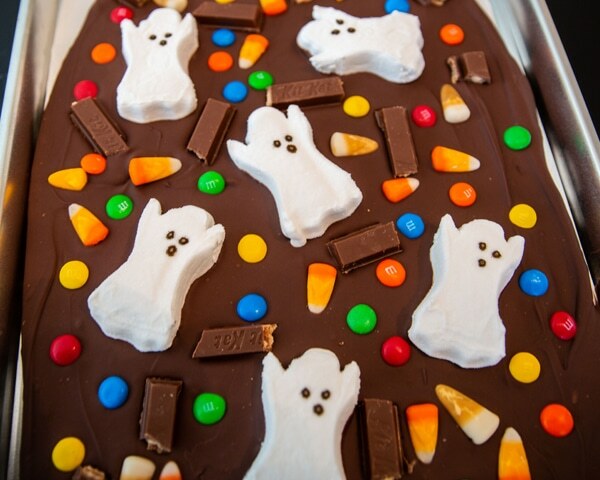 Take a peek below to see how you can get your own Halloween Candy Bark started! 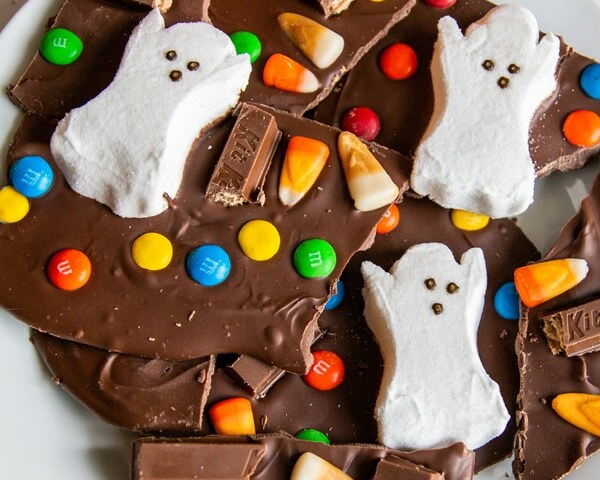 You aren’t going to believe how easy this Halloween Candy Bark Recipe truly is. You will have this made up in no time, whether you using all of that leftover Halloween candy that the kids brought home, or if you’re making a treat for a Halloween party that you may be hosting. 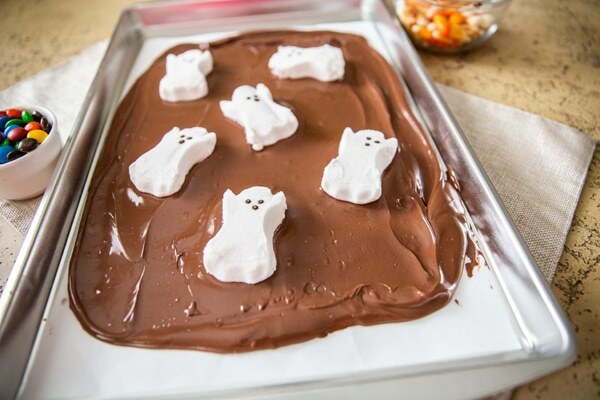 Everyone will be asking you for this easy recipe to add to their own Halloween recipe book! First, place parchment paper on top of a pan, after cutting it to the appropriate size of the pan you are using. Feel free to set the pan aside for now, but don’t keep it too far away. You’ll need it soon. Microwave 4 cups of Nestle Toll House chocolate morsels in a large, uncovered, microwave-safe bowl. Heat it up on medium high (70%) power for 1 minute or so, until the chocolate softens and you are able to stir it. Stir the morsels, although you will notice some may retain some of their original shape. If this is the case, microwave the chocolate for an additional 10 to 15 seconds, repeating as needed. Continue stirring until all of the morsels are melted and is smooth when stirring. 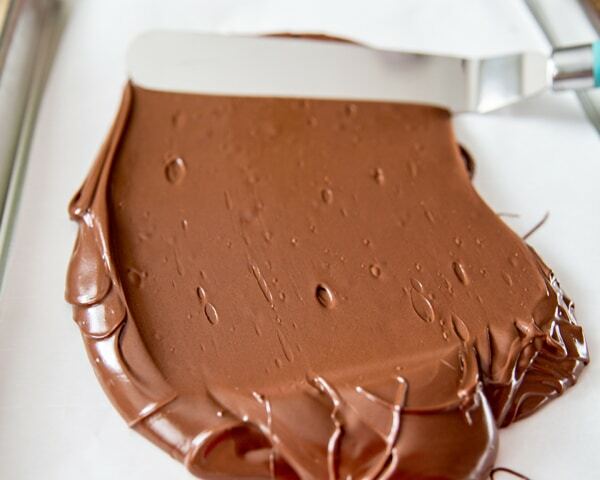 Pour all of the melted chocolate into the prepared pan on top of parchment paper. 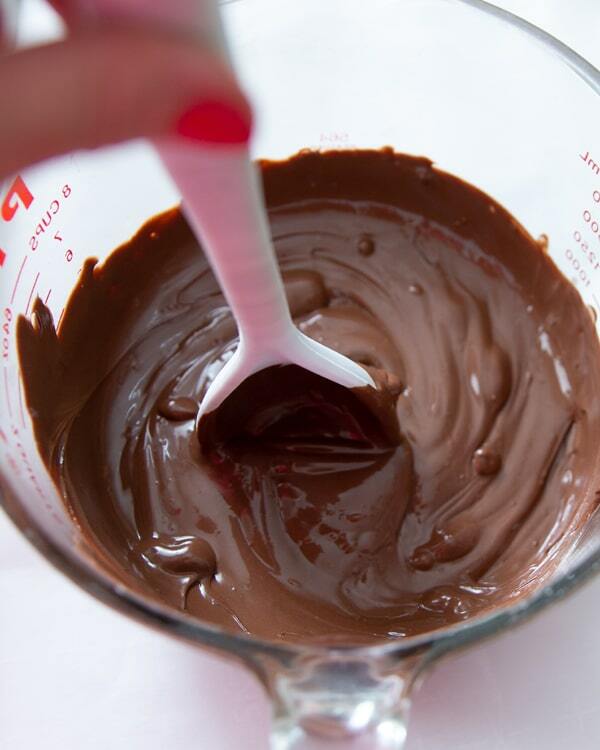 Spread all of the chocolate out as evenly as you can, so there is a thin layer that is created. Use a spatula to spread it evenly, as well, as that will make it easier to create the thin layer that is needed. 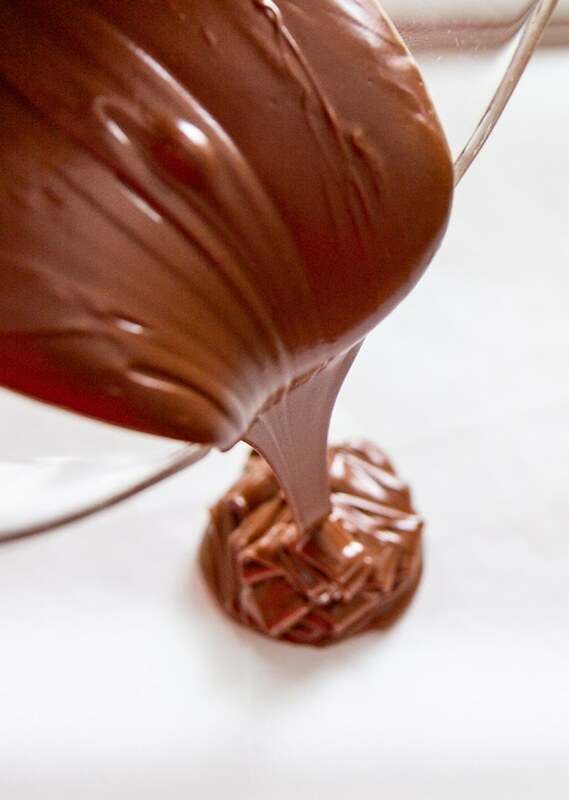 Now that you have the chocolate smoothed out and even, let your melting chocolate stand for 1 minute, in order to set properly. Kit Kat (did you know they have Pumpkin Pie Kit Kats?! 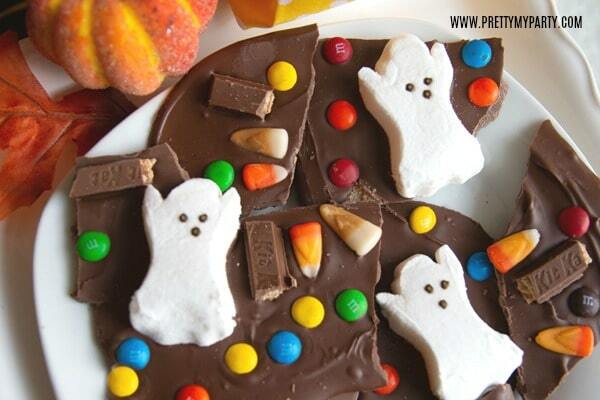 If you’re really feeling crazy, you could even make a separate Halloween Candy Bark item for each child. Because let’s face it… we know they ALL come home with way too much candy! 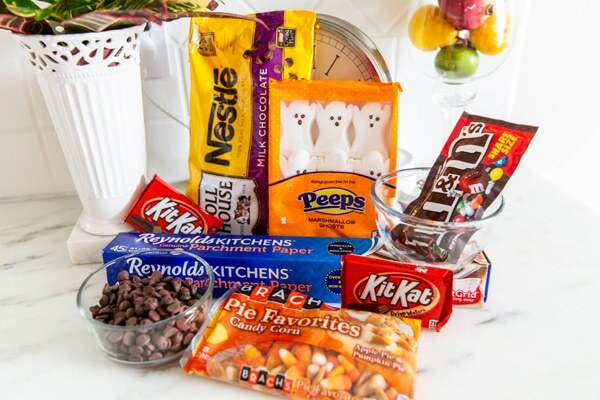 When everyone has had all of their fun and you are done arranging all of the Halloween candy on the chocolate, place the pan in your refrigerator for at least 30 minutes. This will allow everything to set and cool down, before breaking the chocolate apart. Take a peek at the pan full of chocolate and make sure it’s cooled off enough so that it’s hard and doesn’t move when you touch it. If that’s the case, pull the pan out of your refrigerator and begin breaking the chocolate into chunks of “bark” with your hands! The kids will have fun helping out with this part, too. If they are going to destroy something, it might as well be something they are supposed to break apart, right?! And that’s it! 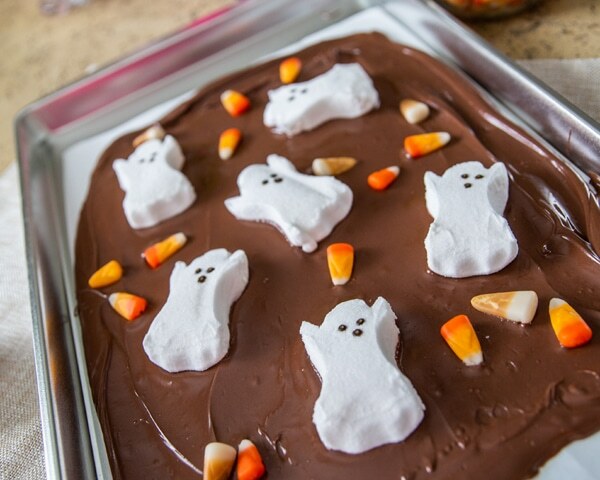 You’ve made some fun Halloween Candy Bark the kids will love! For the full recipe and instructions, see the Recipe card below! 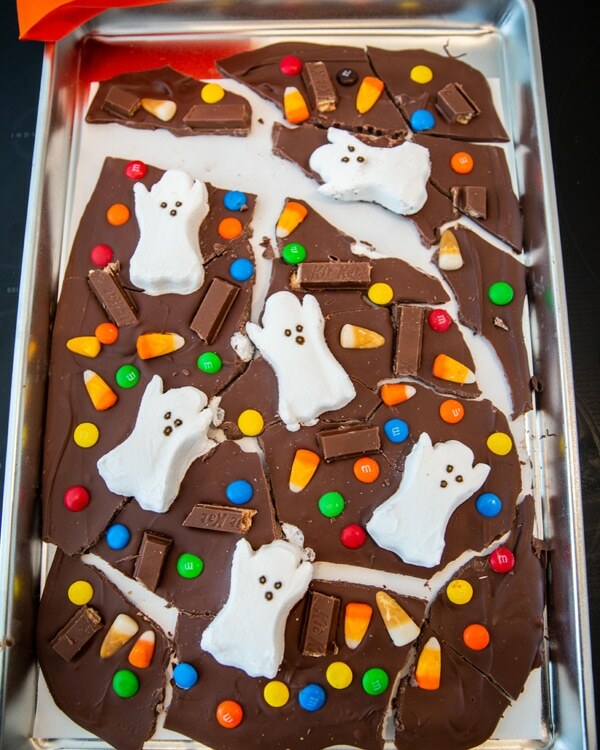 There are so many Halloween Candy Bark trays that you can make with leftover Halloween candy, so what are some other great ideas that you can use the candy for? These are some fun and resourceful ideas that you can do with the kids, as well! Freeze it – Take some of the candies that are typically found in different ice cream creations and freeze it to use throughout the year! Add to milkshakes, ice cream sundaes, or even to your popcorn for a sweet and salty treat! Feel free to crush it all up beforehand to make it easier, and freeze it in different bags for easy access throughout the year! Bake With It – Add it to cookies, cakes or cupcakes that you make for different occasions! Yummy! 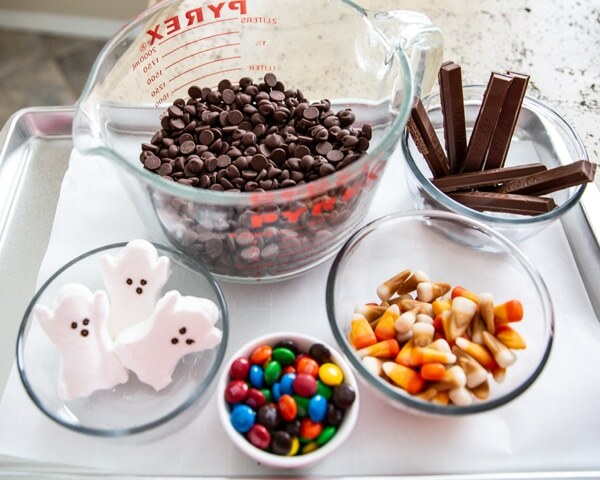 Make a DIY Trail Mix with all of those mini M&M bags that your kids will get for Halloween. What a perfect solution! 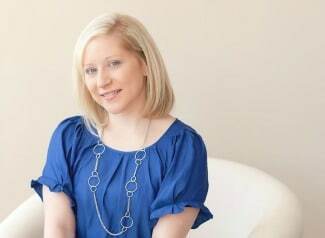 Bribery – let’s face it… sometimes the kids need a little extra motivation to get something done or to pay better attention in the face of a meltdown. Keep some of those mini candy bars in your purse for those last-minute bribery needs that every parent seems to have! 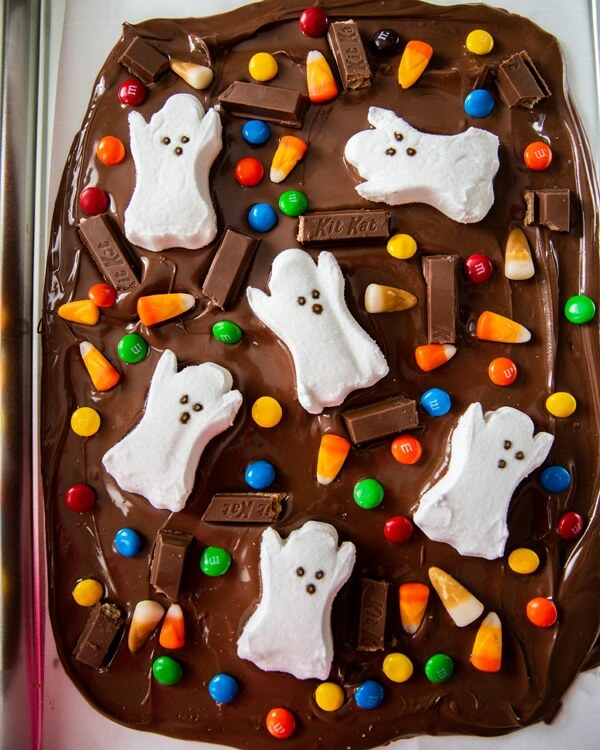 And just like that you’re going to be in Halloween Candy Bark heaven! Who knows, you may even need to hide it form the kids just as bad as their Halloween candy! 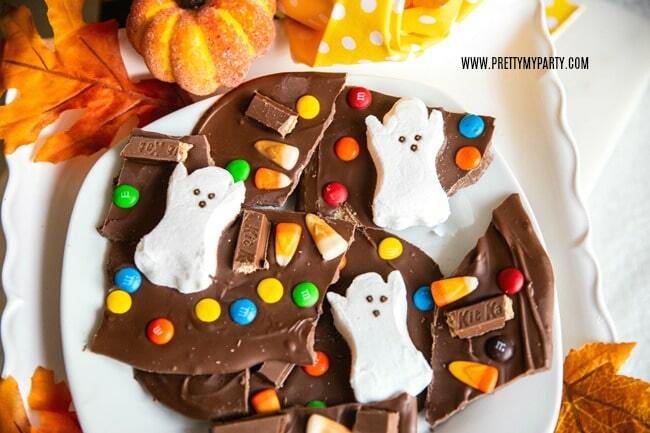 They might just like this candy bark even more! 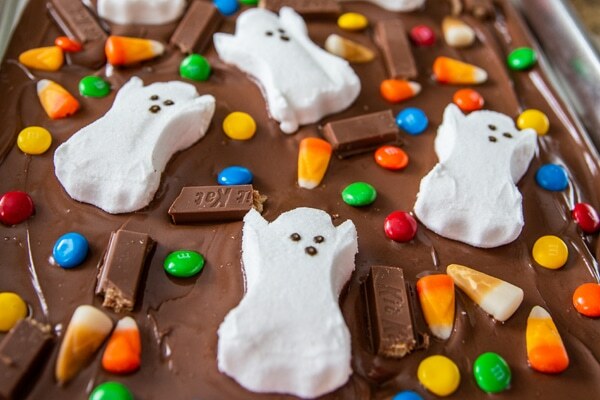 Regardless if your kids come home with a bundle of candy that just won’t survive, or you have leftover candy from trick-or-treaters, this Halloween Bark Recipe will make everyone happy! 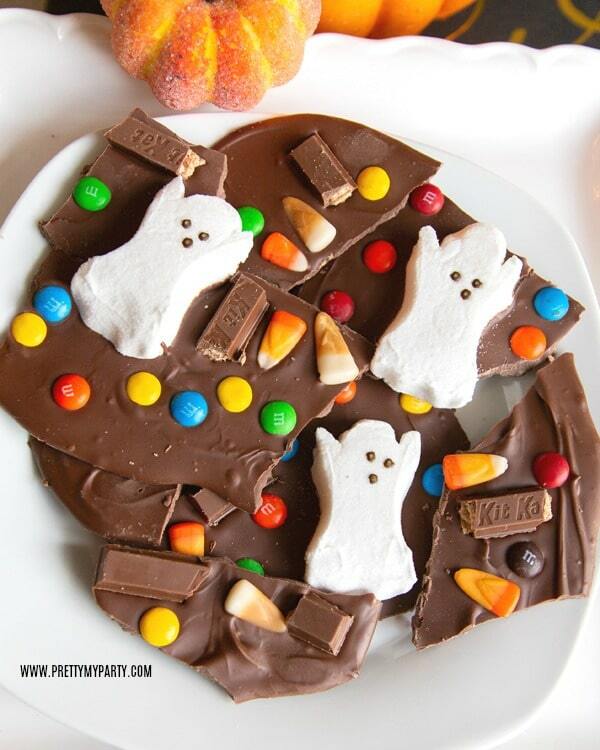 Whip up this yummy and delicious Halloween Candy Bark with your leftover Halloween candy! The kids will love it! Place parchment paper on top of pan after cutting to appropriate size. Set pan aside. Stir. The morsels may retain some of their original shape. If so, microwave an additional 10 to 15 second intervals, stirring until morsels are melted. Pour into prepared pan on top of parchment paper. 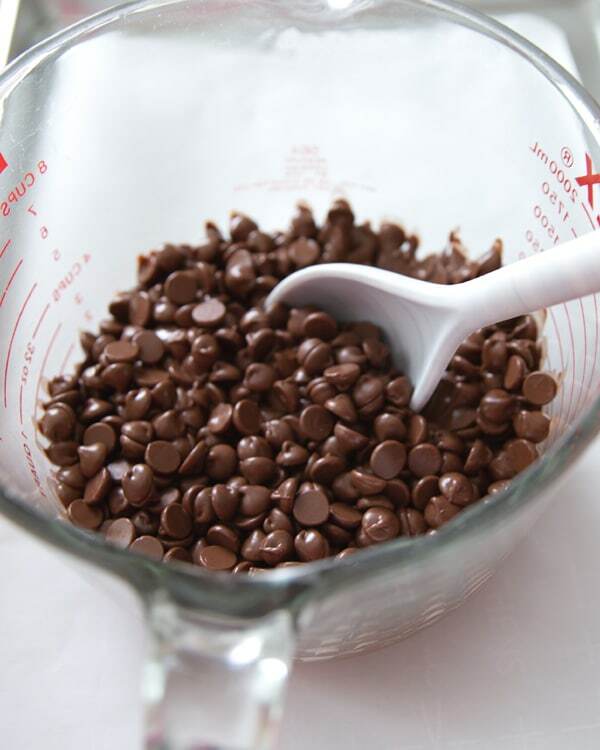 Spread chocolate out as evenly as you can. 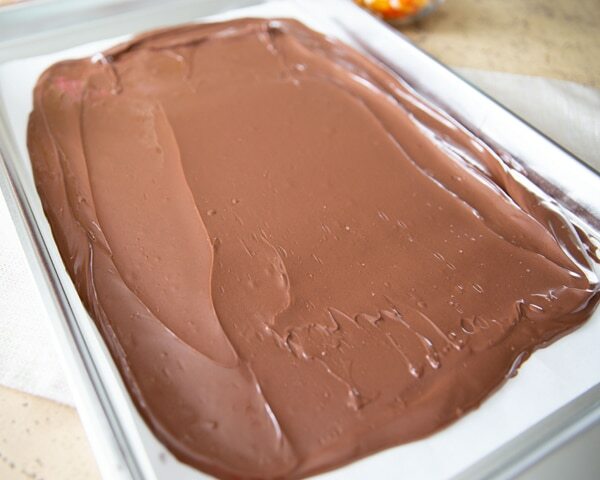 When you are done arranging all of the chocolate, place pan in refrigerator for 30 minutes. Pull pan out of refrigerator and begin breaking the chocolate into chunks of bark with your hands. Don’t forget this great recipe for your next Halloween party, too! It will be a huge hit! It looks so good! I love the little ghosts on top.